This board decodes DTMF signal either from an audio source or phone line to 4 bit binary TTL (5V) level output. It also indicates outputs with LED. Can use directly with microcontrollers to develop various DTMF relate applications like remote monitoring, remote control, Caller ID, Auto Dialler. · Remote control using Mobile phone. This soil moisture sensor can be used to detect moisture when the soil is dry, the module outputs a .. 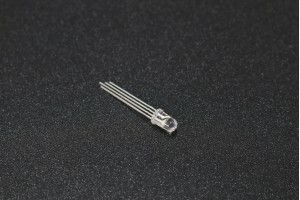 In the common anode display, all the anode connections of the LED segments are joined together to ..
HC-SR04 Ultrasonic Distance Sensor is a popular and low cost solution for non-contact distance mea.. The INA122 is a precision instrumentation amplifier for accurate, low noise differential signal ac..